The more that I learn about Korean skin care, the more intrigued I am. I mean, have you ever noticed the beautiful, flawless skin of Korean women? They are definitely onto something! I was given the chance to review Purito skin care from Korea. With Purito, I have found a skin care line that contains no harmful additives and is cruelty-free. I appreciate skin care companies that create ethical and environmentally-friendly and beauty products. The Purito Centella Green range harnesses the powerful ingredient, Centella Asiatica, which is rich in amino acids and renowned for its powerful anti-aging properties. The range promotes the benefits of water-based products rather than alcohol and is expected to be particular popular with those suffering from sensitive skin. The company has a strong ethical and environmental responsibility, and in addition to natural ingredients, all products are packaged using recycled wrapping paper. "We take our responsibility to the consumer and the environment extremely seriously, and our PURITO Centella Green range is one example of that," says Ms. Sunny Kim, Director of PURITO. "We believe only natural and necessary ingredients should be added to derma cosmetic products, avoiding the use of alcohol and other potentially harmful ingredients such as PEGs, Phenoxyethanol and artificial flavouring agents," she added. The range is led by the Centella Green Level Buffet Serum, which contains EWG 1st and 2nd grade components and harnesses powerful soothing benefits to deeply replenish skin. Boasting a 49% Centella Asiatica content, the serum helps to stimulate collagen synthesis, calms inflamed skin and reduces pigmentation. After cleansing and using the toner (below) I apply the serum to my face, neck and chest. I can immediately feel the hydrating properties sinking into my skin. I love how this product is fully absorbed by my thirsty skin, and it leaves no residue or grease. The second product in the range – the Centella Green Level Calming Toner, contains Asiatic pennywort extract (10%) in a highly-enriched powder form, improving the appearance and texture of sensitive skin. 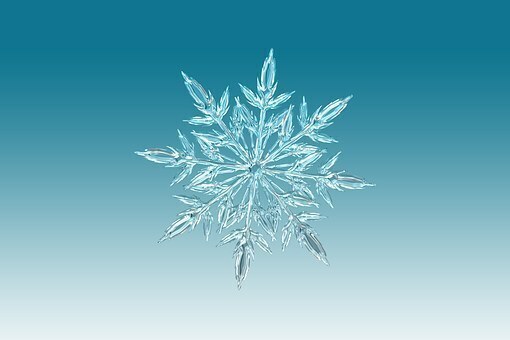 My skin has been pretty sensitive this winter because of the colder temperatures. I apply this wonderful toner with a soaked cotton ball to my face, neck and chest right after cleansing. It helps to remove any remaining dirt or makeup left behind, plus it refreshes my skin. It definitely helps heal acne, too! I have been breaking out on my chin lately (which never happens!) and I apply this toner to that area to help remove excess oil as well as soothe the irritation. 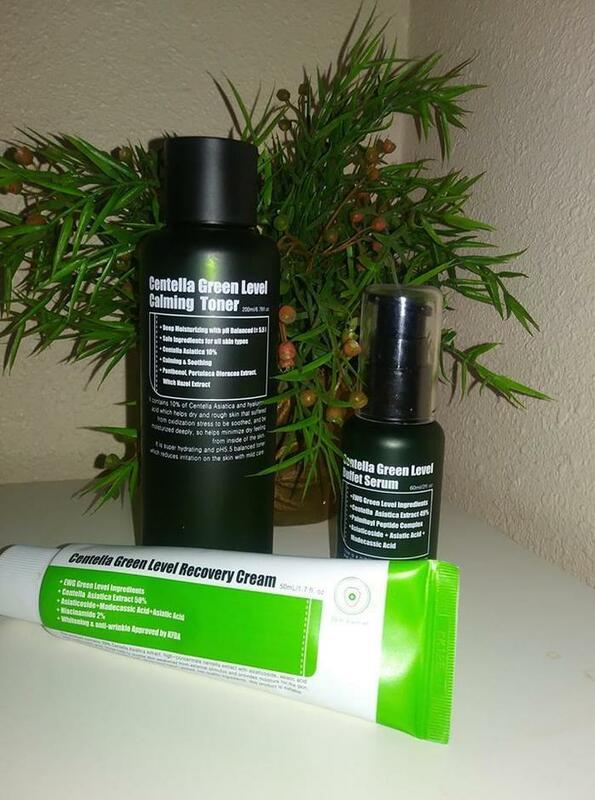 Finally, the Centella Green Level Recovery Cream is designed for use on face and neck, and the high concentration of Centella Asiatica (50%) smooths and calms troubled skin. The product is a light and fast-absorbing topical cream ideal for sensitive skin and those who seek a kinder moisturizer. This skin care recovery cream is very light weight, and I use it both morning and evening. It doesn't look very fancy because of the tube that it comes in, but it really makes my skin feel amazing! I feel that my skin has a truly healthy glow, and I believe my skin looks a lot younger than my age. 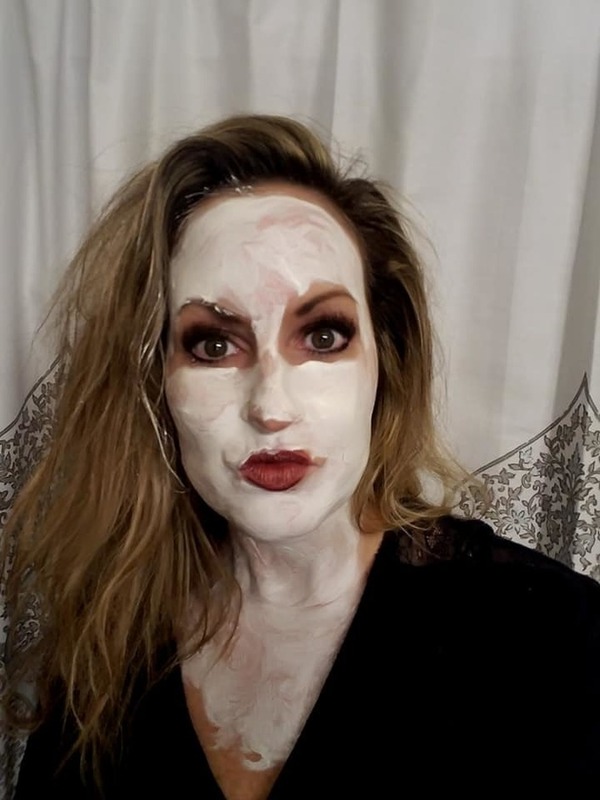 I have really been enjoying Purito skin care. The results speak for themselves, as you can hopefully see in the photo of me below. CLICK HERE to see the rest of the Purito products range. It is never too early to start taking good care of your skin. My daughters are both in their early twenties, and I have taught them the importance of proper skin care. At my age, I am using anti-aging products, but my daughters need an entirely different range of products for their younger skin. Higher Education Skincare was developed specifically for the Gen Z and Millennial age group as a clean, cruelty free, education-centric line with high quality dermatologist-approved products. Teenagers and young adults have different skin issues than more mature skin, like mine. Those with younger skin are not yet dealing with wrinkles, lines and loss of firmness, but the right skincare regimen can help to maintain healthy skin for a lifetime. Higher Education Skincare's products align with one of the core essential skincare categories: cleanse, exfoliate, hydrate, treat or protect and when used daily help correct a variety of skin conditions such as acne, enlarged pores, uneven skin tone, sun damage, dryness and sensitivity. I received samples of HigherEducation Skincare to review for my daughters. Below is a description of each one. Pre Req Foaming Cleanser delivers an invigorating gentle foaming cleanser for normal to oily and combination skin that cleans impurities and removes excess oil while removing all traces of makeup. Exfoliates without stripping the skin of essential moisture. Tea Tree Oil provides benefits for skin that is prone to breakouts. Skin feels clean and refreshed. Grinding Away Skin Polishing Scrub is a gentle, luxurious scrub that removes dead skin cells, improves skin texture, and helps to clear clogged pores. Your complexion can appear smoother, brighter, and more even in color. Easy A 30 Exfoliating Pads help remove dead skin cells, replenish moisture, and visibly minimize pore size. Skin looks vibrant, smooth, and refreshed. Skin never feels dehydrated. 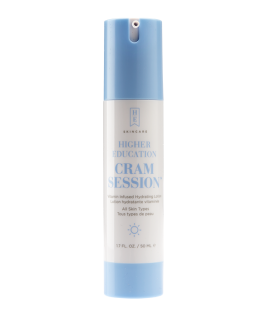 Cram Session Vitamin Infused Hydrating Lotion is a lightweight, off-white hydrating lotion is a daily antioxidant, loaded with vitamins A, C and E, that protects skin by limiting the production of free radicals which can cause cell degradation over time. Added melanin helps protect the skin from damaging blue light emitted from digital devices, the sun, and other sources. Plant extracts and peptides help restore skin hydration and resilience. 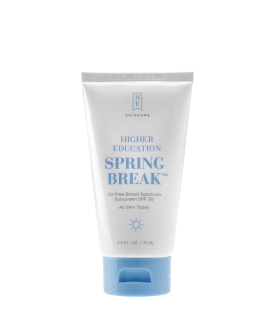 Spring Break SPF 30 is an oil-free sunscreen with sheer solar protection defends against prolonged skin damage from UV light and environmental assaults that cause skin to age faster. Microfine zinc offers broad spectrum physical sunscreen protection from both UVA (the aging rays) and UVB (the burning rays) and leaves the skin feeling silky soft. Contains aloe vera and super antioxidants to help soothe and balance the skin. Non-comedogenic (won’t clog pores), fragrance-free, and safe for sensitive skin. 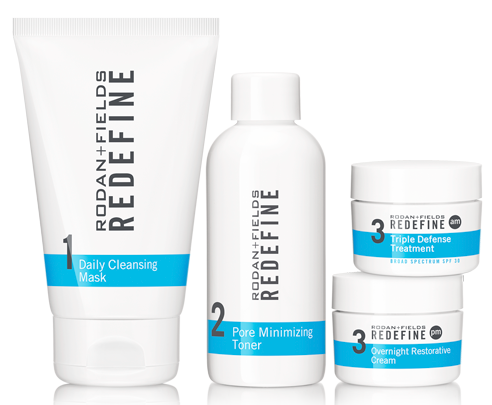 One of the very best skin care companies I have ever experienced is Rodan+ Fields. I love every single one of their products that I have tried. 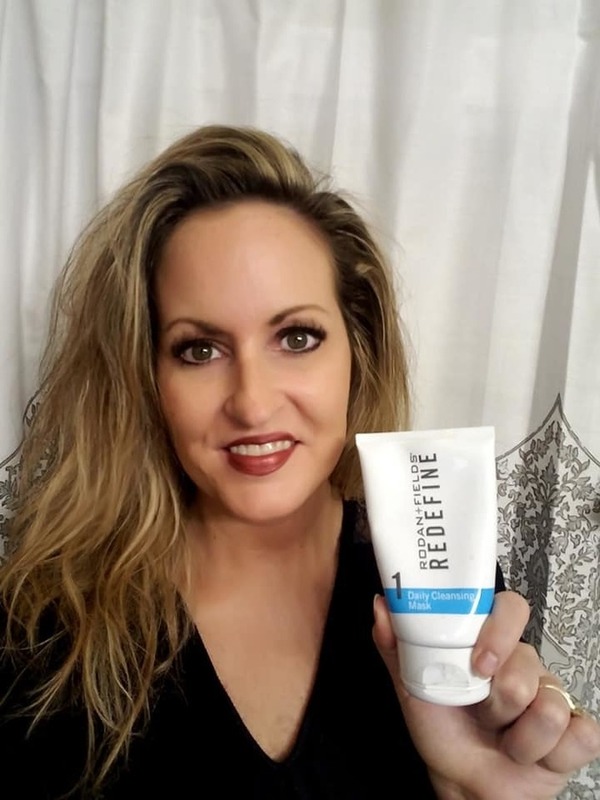 I was very excited to find out that Rodan + Fields came out with a new product. Their new Radiant Defense Perfecting Liquid is truly amazing! 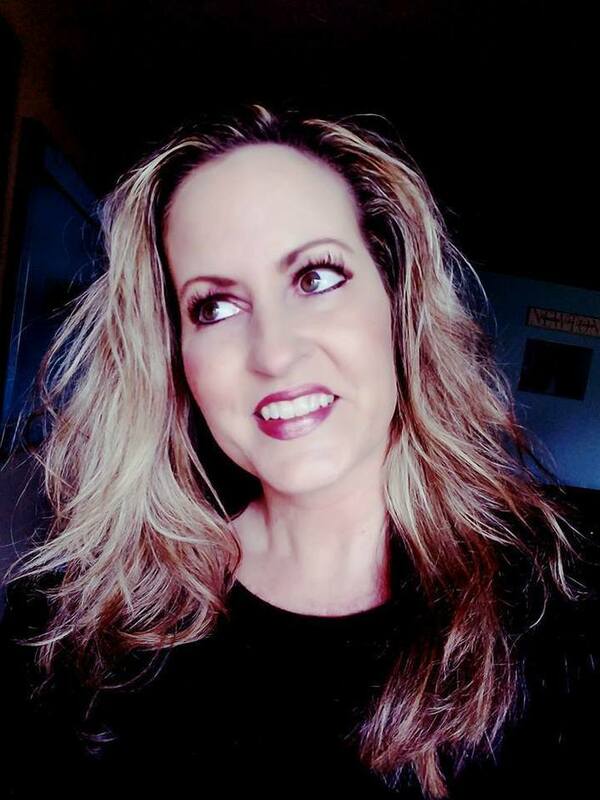 I wear foundation every day no matter what, and when I learned that Rodan + Fields launched their Radiant Defense Perfecting Liquid, I couldn't wait to get the chance to try it for myself. 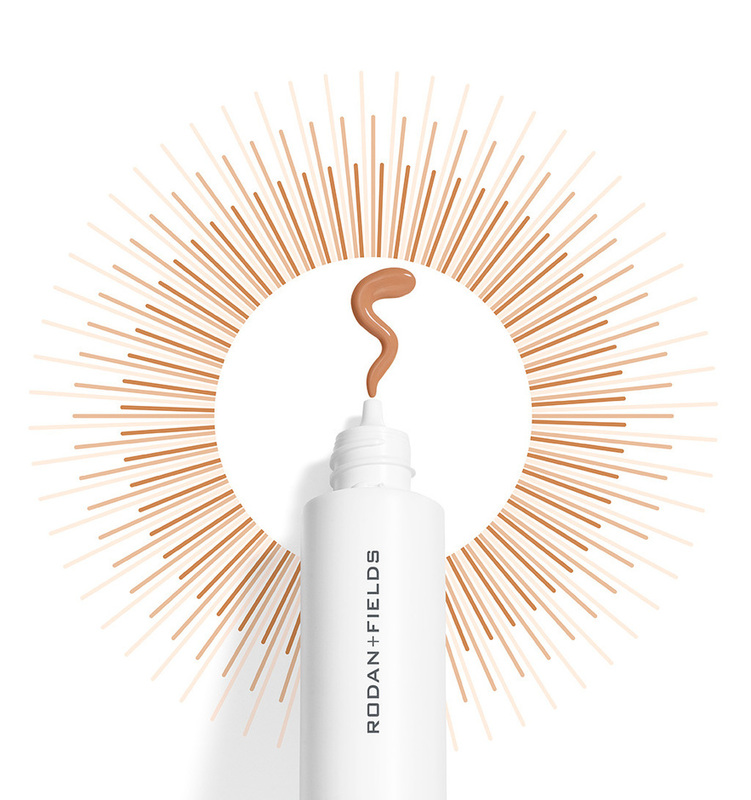 "Introducing our new, groundbreaking tinted Glow Guard, Radiant Defense Perfecting Liquid Broad Spectrum SPF 30. Formulated with dermatology-inspired skincare ingredients to deliver a radiant, healthy-looking complexion in six flexible shades. Use as the last step of your skincare routine to protect and perfect the glowing skin you’ve earned. Why do we call Radiant Defense a Glow Guard? 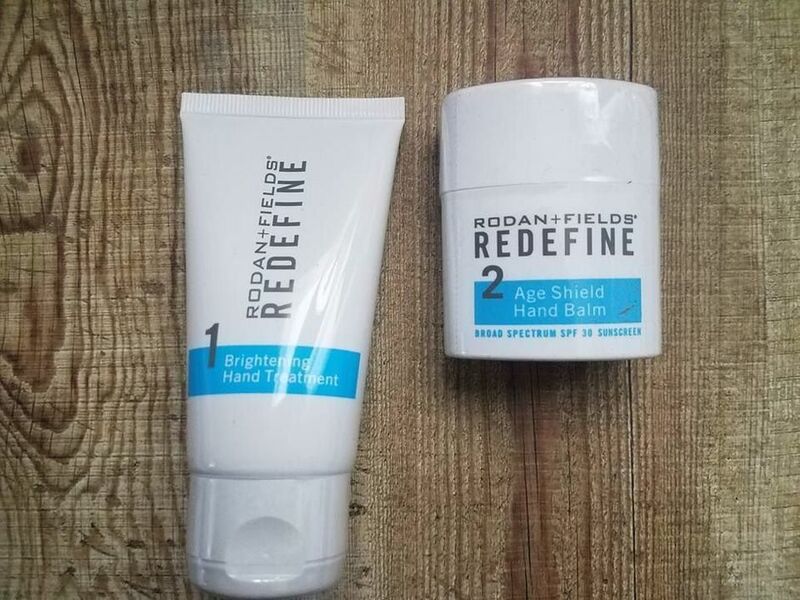 Its unique and proprietary RD3 Complex protects your skin. It helps neutralize the harmful effects of environmental aggressors, repair skin’s natural moisture barrier and protect it from sun damage caused by UVA and UVB rays. 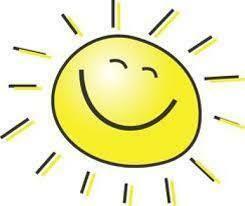 Trust your skin to the doctors who’ve gotten it from the get glow." I love how you have the option to select your matching shade by uploading a photo of yourself to virtually try on different shades of Radiant Defense to find your best match. From their six available shades, I discovered my perfect skin tone match, which is the Sand shade. 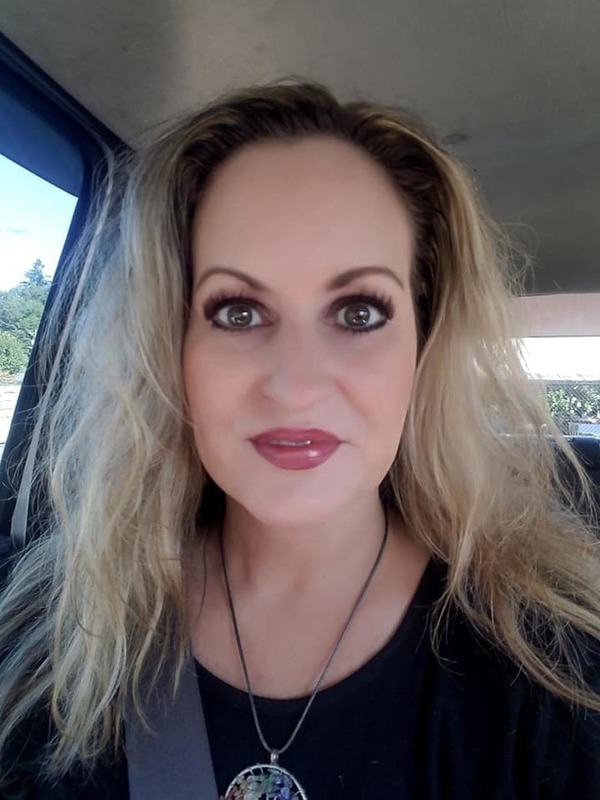 From the moment I first applied Radiant Defense Perfecting Liquid to my skin, I could tell that it was going to become my new favorite foundation. After cleansing in the morning, I apply my Perfecting Liquid to my entire face, neck and upper chest area, and blend it gently with my fingertips. (You can also, apply it with your foundation brush or sponge.) I love the light, non-greasy formula that is so easy to blend. It leaves a beautiful, radiant finish that never looks shiny or oily. It enhances my skin, and gives me a youthful, healthy glow. It looks and feels like a second skin, and yet does not look like I have makeup on my face. It covers all of my imperfections and makes my complexion look flawless. I am thrilled that it contains SPF 30, because I do not need to wear a separate sunscreen product, and my skin in protected and ready to go. Radiant Defense Perfecting Liquid leaves my skin in better condition than ever. 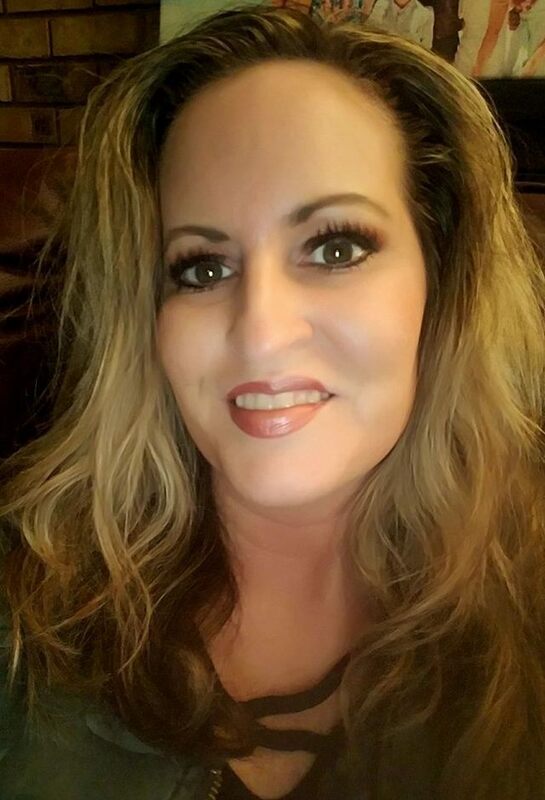 I have never before used a foundation that can make those claims! When it comes to skin care, I look for products that help me age in reverse. Yes, it is possible! With Rodan + Fields, your skin can actually look younger. It is NOT a bunch of hype! 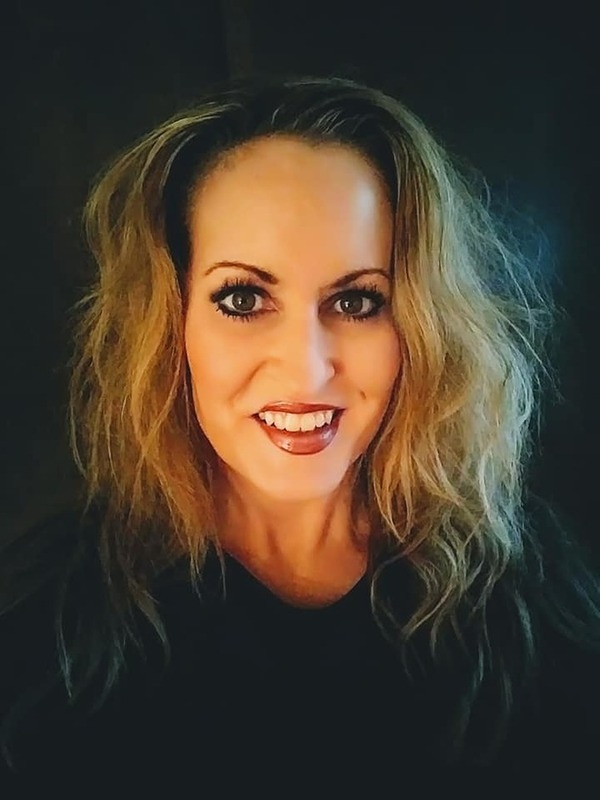 I have been blessed with the opportunity to review Rodan + Fields products once again, and I cannot say enough good things about this company and their miracle products. No other skin care company has given me the results that Rodan+ Fields has. One sad fact about life is that we all have to age, and I hate that. I plan to do everything in my power to look as young as possible for as long as possible. 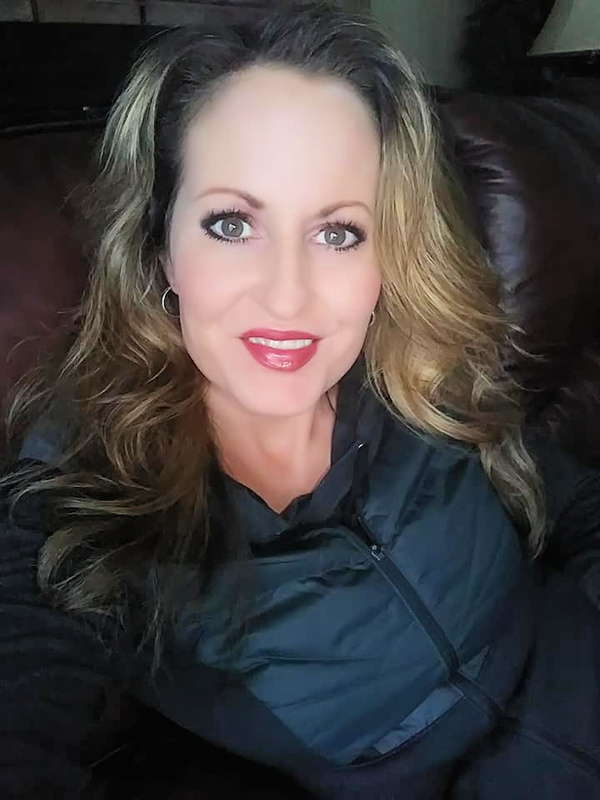 I have tried out and tested hundreds of different anti-aging products over the years, and Rodan + Fields has proven to be the most effective skin care regimen I have ever used. I begin my day with washing my face with the Daily Cleansing Mask. 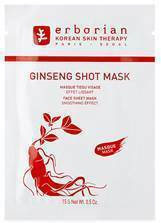 I love this cleansing mask because it draws out the impurities from my skin. I simply wet my fingertips, and massage this amazing product onto my face, neck, and upper chest area, and leave it on for about 3-5 minutes before I rinse. I usually rinse it off in the shower. I use it both morning and night. It has such an uplifting, fresh fragrance. My skin is left feeling soft and purified! I never experience any breakouts or oily skin at all when I use this cleanser morning and night. The next part of my skin care regimen that I use after cleansing, is the Pore Minimizing Toner. 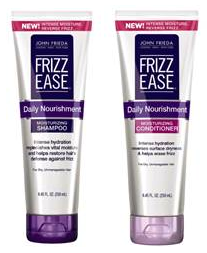 I apply it with a cotton ball both morning and evening. It removes any excess oil, makeup traces and dirt. It makes my pores look invisible, and makes my skin feel fresh. 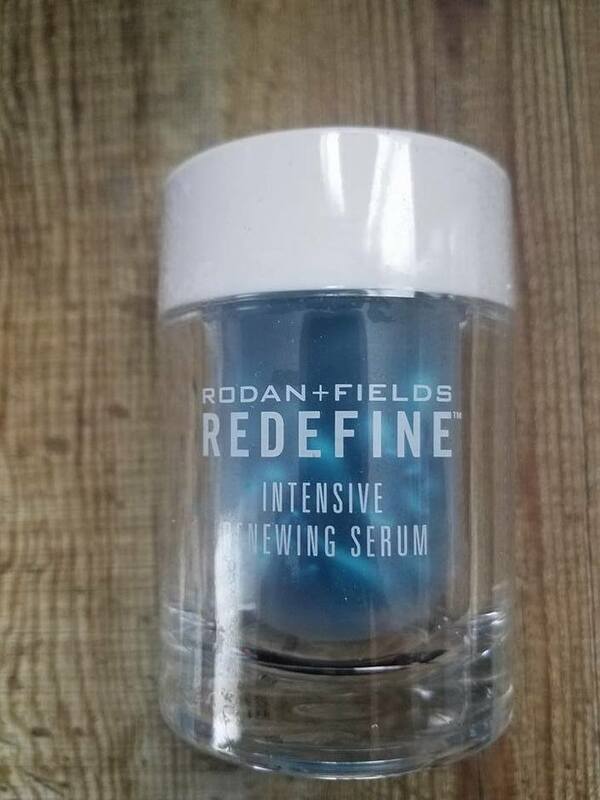 Next, I apply the Intensive Renewing Serum.It is so satisfying to pop open the little pre-measured capsules that contain the perfect amount of product that I apply to my face, neck and upper chest area. It gives my skin such a soft, yet firming texture. This serum contains vitamin A, which is 20x stronger than Retinol! Who knew? 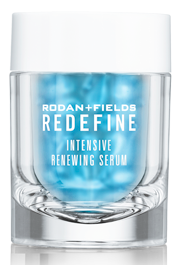 This serum is pure luxury! The third step is the moisturizer. In the morning, I use the Triple Defense Moisturizer in the morning, which completely hydrates and protects my skin with an SPF of 30, and in the evening I use the Overnight Restorative Cream. My skin is left perfectly hydrated, youthful and radiant! 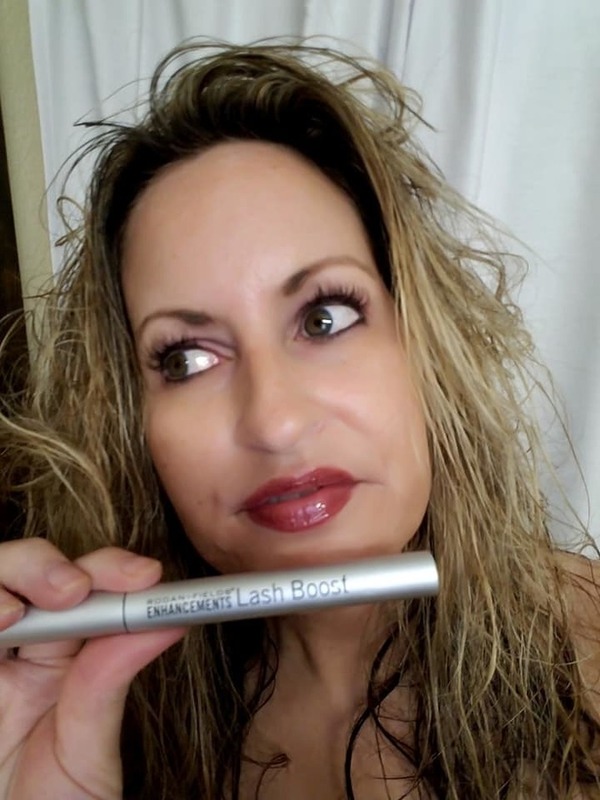 Lastly, I have found my soul mate of all beauty products, the one and only Lash Boost eyelash serum. 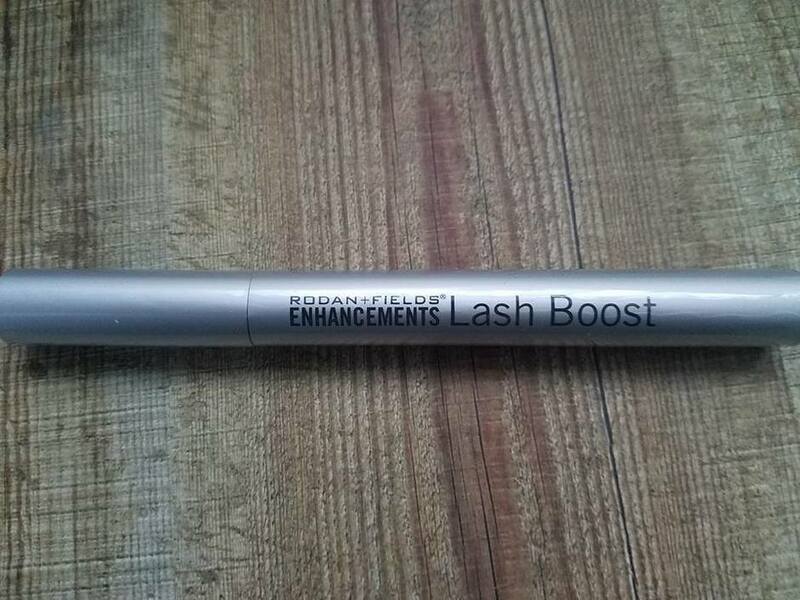 I never knew a product could change my life as much as Lash Boost has. I have had people come up to me and actually 'swoon' over my long and lustrous lashes. (That includes two men, shhh! Don't tell my husband!" The fist photo below is of me, fresh out of the shower (so please excuse my messy freshly washed/towel dried hair.) I wanted to show you what my lashes look like without ANY mascara on them. (Of course I had to put on lip gloss so I wouldn't feel totally naked!) I don't think my camera even shows how long and thick my lashes are. they are shockingly long! I don't even think this photo below does my lashes justice, but I am not kidding you, I have to DETANGLE my lashes with a dry lash brush every morning before I put on mascara! I have even had to trim them. I LOVE IT!  Sensitive Skin? No Problem! 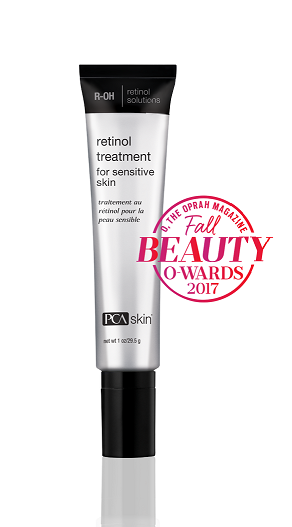 PCA SKIN’s Retinol Treatment for Sensitive Skin to the Rescue! 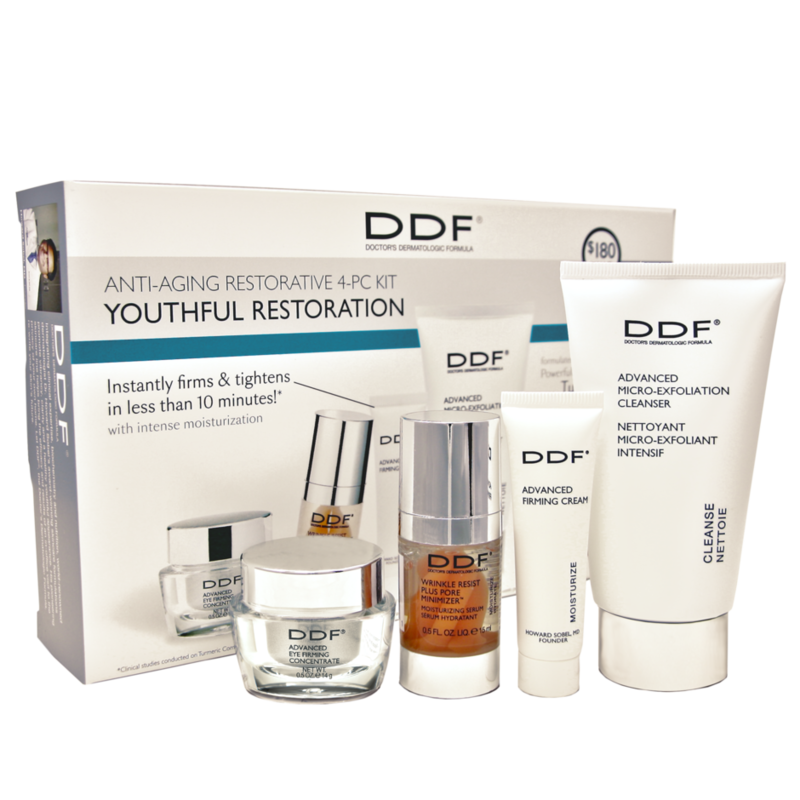 The winter months can be tough, but keep your skin soft and youthful with DDF Skincare. I’ve included more information below. Please let me know if you are working on any stories and/or need samples. Thanks!  Fragrance-Free Essentials for Fall! For those of you who are scent sensitive or just don’t like the fragrance in your products, these bath and body essentials are the answers to your prayers. Kneipp, MegRhythm, Ban, Josie Maran and Skinfix make it easy for you to cleanse, moisturize, and soothe your skin without worry. For thousands of years, salt has been known as a source of health and beauty. For those with sensitive skin, this bath salt is for you. With the combination of trace elements and mineral salts, it will bring the skin back into balance, have a skin-calming effect and provide moisture to the skin. 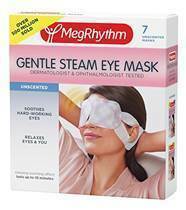 This self-heating eye mask is the perfect way to de-stress, relax and hydrate surrounding skin after a long day. 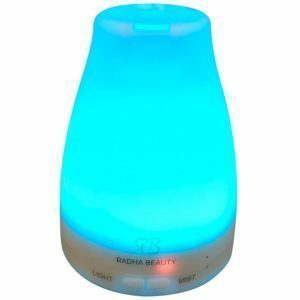 MegRhythm utilizes advanced self-heating technology to heighten relaxation and relieve hard working eyes with the warm and soothing sensation of steam heat. With Ban’s breakthrough technology, this formula specifically targets and virtually eliminates stress odor that other antiperspirants and deodorants may leave behind. Grab the unscented and start rolling on for a guaranteed sweat-free and wetness-free 24 hours. A silky, velvety and ultra-hydrating body butter that’s packed with more than 10 plant oils and extracts whipped to a feather-light texture. Combined with Pure Argan Oil, Shea Butter, Avocado Oil and White Tea Extract, this body butter will nourish, repair, moisturize, repair damaged and dry skin and infuses your skin with antioxidants. What else do you need?! 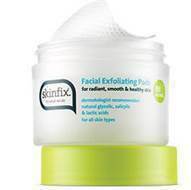 Banish dullness and reveal smoother, more radiant and healthy skin with Skinfix Facial Exfoliating Pads. Each textured pad is formulated with a blend of natural glycolic, salicylic and lactic acids to gently lift away embedded impurities and spent skin cells. Sugar Cane, Willow Bark and Australian Lime Pearl Extracts deliver natural AHAs to accelerate skin’s own renewal process. Gentle enough for daily use or when skin is tired or dull looking. No matter what your skincare concern is – everyone should show off smooth, moisturized summer skin! Whether you have chapped skin, suffer from eczema or have flaky patches, Curél Skincare has you covered with intense hydration for healthy looking skin from head to toe! For skin that feels parched from being out in the sun, choose Curél Ultra Healing Intensive Lotion. Ideal for severely dry skin, this formula has been clinically proven to repair and renew extra dry skin two times better than the leading intensive lotion. It contains extra-strength, naturally hydrating agents so skin feels soft, supple, and restored ($7.99, Drugstores and Mass Retailers).